McWane Ductile New Jersey Holds First Annual Chili Cook-off! Nothing tastes better than a warm bowl of homemade chili on a really cold day. Like soup, there are so many different recipes for chili. To showcase their own unique chili recipes, the McWane Ductile New Jersey (MDNJ) team held their 1st annual chili cook-off on February 12. Crock pots were placed in the training room and everyone had the opportunity to sample and vote for their top three picks. Krista Trimmer was happy to hear that her chili had been voted #1 and she was awarded a $100 gift card. Juan Velasquez won second place and received a $75 gift card and Ray Stull won a $50 gift card for third place. The real winners in the event were all of the team members that got to enjoy the many delicious types of chili. 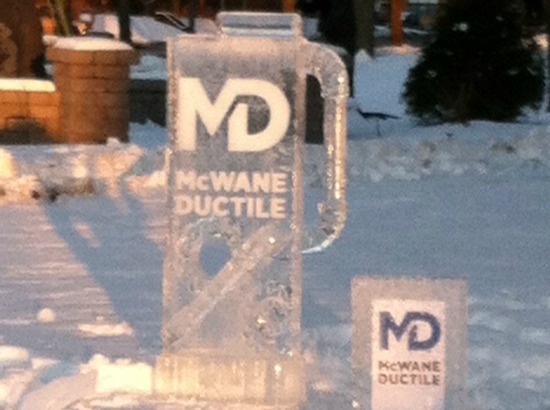 Comments Off on McWane Ductile New Jersey Holds First Annual Chili Cook-off!